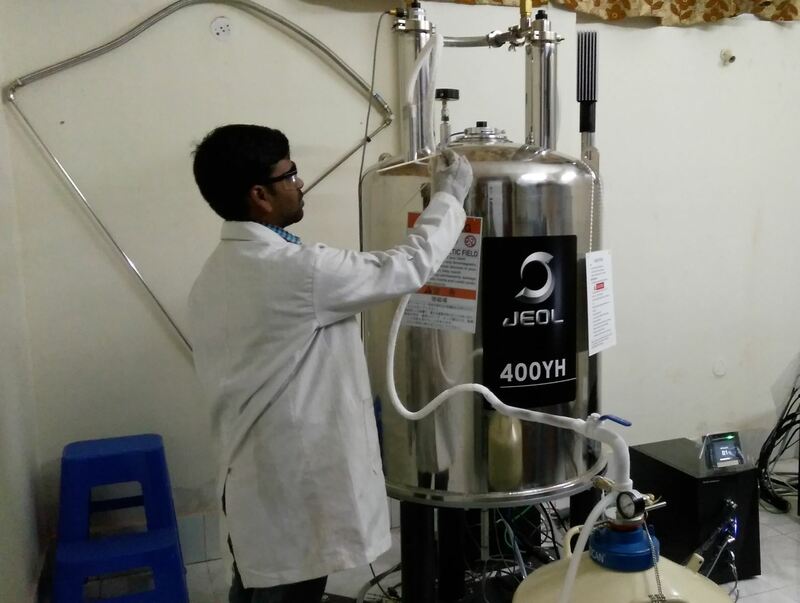 The state of art NMR spectrophotometer (400 MHz: JEOL) is a DST FIST SUPPORTED Central Facility at Department of Chemistry, Birla Institute of Technology, Mesra. The central facility offers a high resolution solution state NMR service to all the students/faculty of BIT Mesra and open for external researcher form academia and industry. A range of NMR experiments are available including routine 1D- and 2D proton, carbon, fluorine and phosphorus experiments.